First Alert 2077DF Anti-Theft Safe with Digital Lock is a great little safe with big features and plenty of room. Manufactured by the leading brand in home safety and security products. First Alert is one of the most trusted and recognized brands in home security. All of their units provide you with much needed reassurance for your valuables. Their mission to provide exceptional customer service along with their quality of product solidifies their promise to help you protect what matters most. This safe has a 1.2 cubic foot interior which measures 16 inches in height, 12.13 inches in width and 10.75 inches in depth. Providing plenty of space for your valuables, important documents, medication, or small hand guns and ammunition. With an exterior height of 17.25 inches, width of 13.25 inches and depth of 15.19 inches, it is still very compact. Small enough to fit on a shelf, under a desk, in a cabinet or hidden in the bottom of a closet. Adding extra security in concealment. Weighing in at 70 lbs, the safes solid-steel design is sturdy yet light enough for you to install yourself. Along with its solid, heavy-gauge, welded steel construction, the First Alert 2077DF includes mounting hardware with instructions to provide even greater security. Using the pre-drilled holes allows you to mount this to either the wall or floor. The two live locking steel door bolts as well as pry-resistant, concealed hinges ensure the utmost security and safety for your valuables. Another great feature of the First Alert 2077DF is its fully carpeted interior. This alone will ensure your valuables will not be damaged or scratched. The adjustable, removable shelf and hanging key rack allow you to customize the safe to fit your needs and provide plenty of organization options. It comes with a digital access that is quick and easy to set up and reprogram. It can easily be programmed to accept two pass codes and uses 4 AA batteries that are included. For your peace of mind it does also include an emergency override key if for any reason you find yourself locked out of the safe. The door handle ensures a quick and easy opening for faster access to your items. 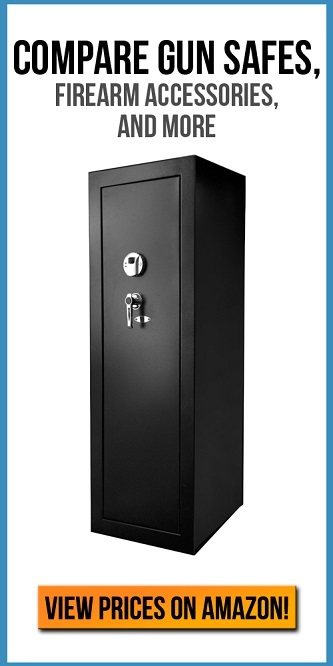 This safe also comes with a 5 year warranty from First Alert. Who prides themselves on prioritizing customer service as well as quality products to ensure the highest in customer satisfaction. For those who prioritize safety and want to be assured peace of mind, this affordable, and simple to use starter safe is the perfect option. The spacious interior will make securing all your personal items a breeze. Easy to conceal with predrilled bolts for extra security. You will never have to worry about keeping your valuable items safe with the First Alert 2077DF Anti-Theft Safe with Digital Lock.